I'm not sure if you have heard, but it seems as if we are in the middle of a bad economy. Chances are you have heard and have an opinion about it. All over the mainstream and not-so-mainstream media outlets, people are weighing in about investments, currencies and credit. The markets are under analysis and people are giving a million suggestions on how to deal with the situation. Unfortunately, one key demographic is blatantly absent from a lot of these discussions. Young adults are not often brought into discussions relating to finance for a variety of reasons. The most critical reason being that a lot of college students and recent graduates simply do not have enough accumulated wealth or savings to be a part of the target market many financial institutions are soliciting. Regardless of the reason, younger people, me included, feel like nobody is speaking to them. Over the years, quite a few gay travel websites have come along, with some emerging as real leaders in this strong GLBT niche market. Very few, however, have managed to keep up by utilizing some of the latest technology online today including travel social networking, online video and blogs. 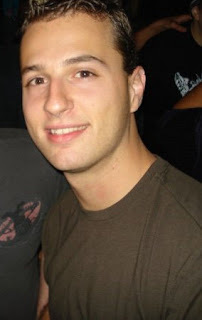 NewGayTravelGuide.com, however, is one of those exceptions. 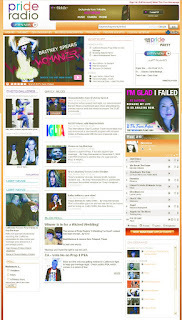 Starting out as a single blog covering the GLBT travel market, the folks at NewGayTravelGuide.com (Michael Snell and Derrick Sorles of Chicago, IL) have developed an entire network of GLBT travel blogs covering such popular destinations as Puerto Vallarta, Palm Springs, and of course, their home town of Chicago itself. One of the top questions I receive, after “should I do a blog” is “how do I best integrate the blog into my website?” This report is intended to fully answer that question. Over the past few years, we've had a variety of satellite and online radio stations appear with some incredible content ranging from dance music to talk radio. We've also recently had real world, terrestrial radio stations bring their music online including 92.7 Energy out of San Francisco and 103.9 Pride FM out of Toronto. Now, we have PrideRadio, brought to us by Clear Channel, with content ranging from online music streaming to Internet on-demand music videos and podcasts. One of our clients, The Clubs, is looking for an individual with hospitality training experience who can travel to their various locations throughout the country to provide ongoing customer service training to their staff and management. They are looking for someone with both hospitality industry experience (hotel experience preferred) and the ability and some experience at having done this kind of training in the past. If interested, please e-mail Dennis Holding at dennis648@aol.com. This was my first Interpride convention I'd attended thus far, and I can definitely say I'm looking forward to the 2009 Interpride Convention in St. Petersburg, Florida next year. I had the opportunity to present a full hour of Web 2.0 and Social Network marketing tips to the conference attendees, and it went over very well. Getting that out of the way on a nice Thursday morning allowed me to relax for the rest of the conference and hang out with all of my new Interpride friends, where we had one of our first evening events at Celebrity's Nightclub in downtown Vancouver. Somehow the night just took us away, and the next thing I know we're off dancing with more new Interpride friends at the neighboring club, Odyssey. Good times! We all had a great time in NYC this past week... I flew out for some meetings and to do a presentation to Justin Nelson, Chance Mitchell and the NGLCC board about social network marketing and Web 2.0... a lot of good questions were raised and it'll be exciting to see how this new form of marketing integrates nicely into the current success story that NGLCC is today! Afterwards, of course, we all met for happy hour, where I got a chance to spend more quality time with Vince of Wells Fargo and Brady from the Guggenheim Museum, as well as Rob Shmalo and Matt Link. Also joining us were Richard Oceguera and Thomas Kovaleskie, the two guys heading up the NGLCC-NY team. It was the start of a GREAT evening! Community Marketing Conference in Vancouver was GREAT as usual! It seems like this past week has been a whirlwind. We all arrived in Vancouver on Sunday night, October 5th, for the opening night cocktail reception at the Sheraton and as usual, this night proved to be a prelude to what turned into a fantastic week of workshops, panels, seminars and good old fashioned networking with some of the leaders in the GLBT travel industry. Highlights include the party at Celebrity's on Tuesday night, hosted by Mya Lake Reyes of the Las Vegas CVA. But that was the closing night party... in between Sunday and Tuesday night, we were entertained by Travelocity at an incredible party at Oasis, as well as some over the top dinners with our friends at both PlanetOut.com (thanks to Gus Preston and Scott Furman) at Delilah's and Logo.com thanks to Matthew Habib. Where Have All The Gay People Gone? 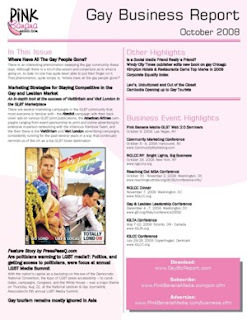 There are several marketing campaigns in the GLBT community that most everyone is familiar with - the Absolut campaign with their back cover ads on various GLBT print publications, the American Airlines campaigns ranging from event sponsorship to print and online advertising to extensive in-person networking with the infamous Rainbow Team, and the then there is the VisitBritain and Visit London advertising campaigns, consistently running for the past several years in a way that continually reminds us of the UK as a top GLBT travel destination. It seems that everywhere we would turn we would run into some marketing effort of this campaign, ranging from a billboard on Santa Monica Boulevard to a large booth at Chicago’s North Halstead Market Days (with hot, kilt-wearing men recruiting passers-by to come on over), with all points online and in print covered in between. We had an incredible time at the IGLCC Summit in London this past week. 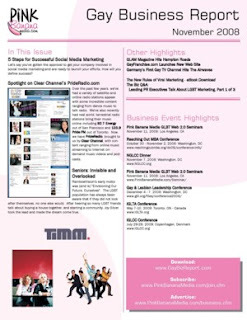 With almost 100 registrants, this organization continues to grow and should be a must-attend GLBT business-to-business event in 2009 with the conference scheduled in July in Copenhagen, coinciding with the OutGames. We had great networking opportunities and workshops focused on GLBT marketing as well as a detailed explanation about their upcoming corporate ratings index they're debuting this year. Side events including a very pleasant reception at the Novotel hotel sponsored by VisitLondon and Accor Hotels, as well as a closing cocktail mixer at Simmons and Simmons law firm in London. Marketing to the Gay Community on the Internet? Looking for valuable insights? A competitive edge? There is an interesting phenomenon sweeping the gay community these days. Although there is a lot of discussion and conjecture as to what is going on, to date no one has quite been able to put their finger on it. 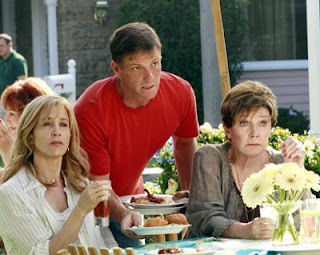 That phenomenon, quite simply is, "where have all the gay people gone?" Welcome to the 2009 Gay Market Report, a comprehensive look at various opportunities and media sources for companies wishing to target the gay & lesbian community. Much of what you will find in this report is a summary of the opportunities available, with website URLs being the primary source of contact. For the media sources that have opted to participate in this guide, you'll find a more comprehensive breakdown of information along with contact details to allow you to make better informed decisions as to which sources may best serve your marketing needs. 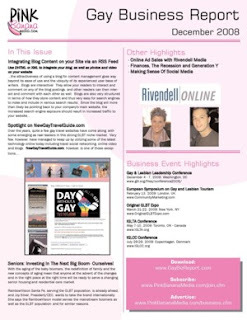 This guide is intended to cover the full range of gay & lesbian media sources and opportunities, including Internet, Print, E-mail, Events and more. 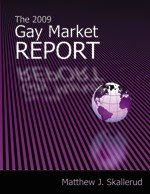 Each year this guide will be updated with current information and will continue to grow along with the gay & lesbian media marketplace.